Fam, as promised, I’m back. And I come bearing gifts. Waaay back in 2009, when I was first dipping my toe into the independent author arena, I was just like you – Overwhelmed by the sheer amount of in…no, let’s face it…misinformation floating around on the Internet on self publishing. It got so bad that more than a few times, I wanted to give up completely. But somehow after many sleepless nights and hours upon of hours of research, I dug my way through the maze of confusion and got my novel, Address: House of Corrections, to market. Fam, you don’t have that kind of time. You’re frustrated. You’re tired and you just want to get your masterpiece published, damn it! LOL! 1. WRITE A DAMN GOOD BOOK. For as long as it takes. Concentrate on nothing else and don’t get ahead of yourself. COST: Priceless. 2. 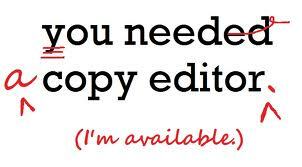 HIRE A FREELANCE EDITOR. This is a stone cold requirement. 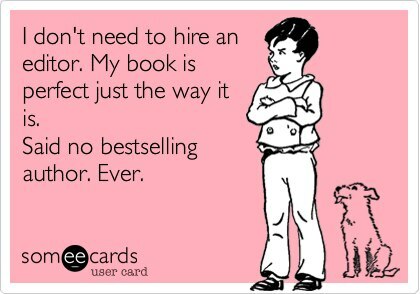 One, you’re not good enough to edit your own book and two, you’re too close to take a hatchet to your baby. COST: Depending on whether your hiring an editor with experience to do developmental, substantive or line by line editing, he or she could charge anywhere from $45 to $150 an hour. Ask other authors for referrals or to find an affordable editor who mighty work for a flat project rate, visit to your local college to hire an English or Journalism student or post your job on websites such as Elance.com or Odesk.com to attract a worldwide pool of applicants. *For more freelance editorial rates, visit the Editorial Freelancers Association website. 4. 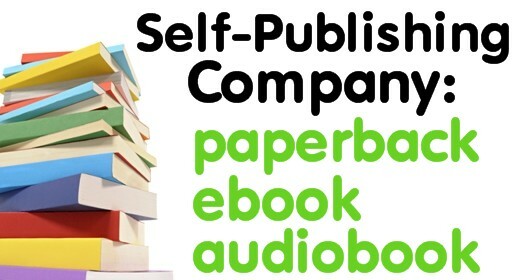 ESTABLISH A PUBLISHING COMPANY. If you want to be taken seriously as an author, you gotta look the part. Now, you could go all out and incorporate yourself as a corporation or file a Doing Business As (DBA) with an online company such as LegalZoom.com to legally open a bank account to do business under. However you choose to do it, though, it’s important that you establish yourself as a shonuff publishing company, because as an independent author, it legitimizes you. COST: The starting cost for either option at LegalZoom is $99. 5. MAKE MARKETING YOUR NEW BEST FRIEND. I can’t stress this enough. I don’t care how great you think your book is, if you don’t market that puppy, your momma and dem will be the only ones buying it. Lucky for you, we live in the day and age of social networking, which is free (for now.) But before you launch a new Facebook page or Twitter handle, write a book proposal and create a marketing plan for your book. That’s right. Book proposals aren’t only for authors trying to woo publishers. 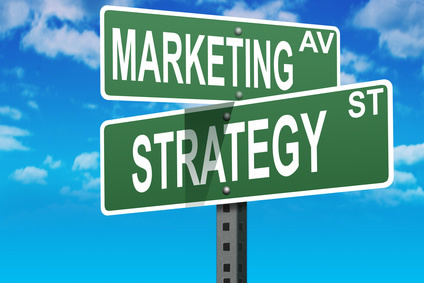 In fact, as an independent author, it’s more important that you actually have a detailed road map for your marketing strategy, because the stakes are higher for you. Bestselling author Seth Godin says that the best time to start marketing your book is three years before it comes out. My advice? Begin implementing your marketing plan at least three to six months out from your publishing date. COST: It’s your time. How much do you feel your career is worth? 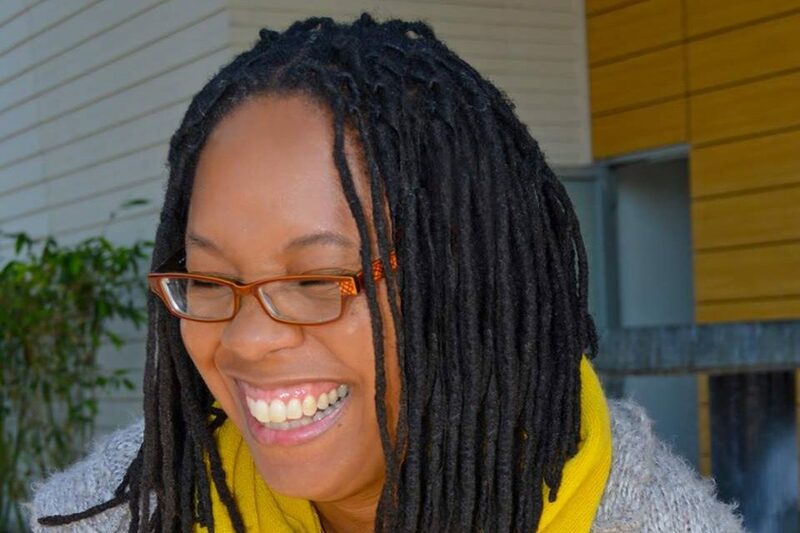 * BTW, I can help you create and implement your marketing strategy by either coaching or consulting you. A shameless plug, I know, but I couldn’t resist. LOL! O.K. I’ma stop here. Remember when I wrote earlier – Don’t get ahead of yourself? Well, this is plenty to get you started for now. Reblogged this on Address: House of Corrections. Thanks, Monice! One of these days I may just need this info. I’m reading up on whatever I can about self-publishing vs. traditional publishing. But I’m still at your step one: Write a Damn Good Book. I intend to take a stab at traditional publishing, sure. But I’ll be on standby to go it on my own. Thanks to warriors out there like you, there will be plenty of blood and footprints on the road to follow. Soldier on! Many congrats on your winning ways in this battle. Proud to know YOU! I’m glad you’re still on step one, Jean. it’s the most important one. Trust, by the time you get around to self publishing, it will be even further along and much easier than when I first did it nearly three years ago. Glad to pave the way. I’m a proud solider!